In order to help our clients strategize the most recoverable Amazon claims to dispute, we performed a proprietary study across six of our clients who are actively selling via Amazon’s Vendor Central portal. Our purpose was to discover exactly which chargebacks are most recoverable in order to prioritize our claim efforts. 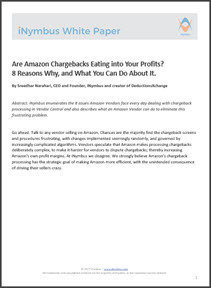 Are Amazon Chargebacks Eating into Your Profits? 8 Reasons Why, and What You Can Do About It. 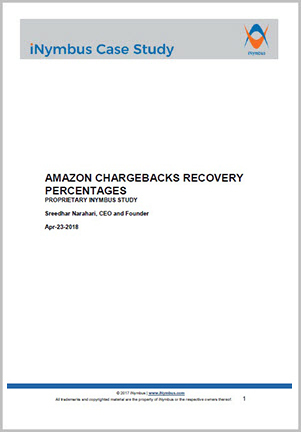 iNymbus enumerates the 8 issues Amazon Vendors face every day dealing with chargeback processing in Vendor Central and also describes what an Amazon Vendor can do to eliminate this frustrating problem.